It’s a pretty house, I learned that. It’s maybe too centered in this photo? Whatever. The c in Monticello is pronounced “ch”. He was pretty eccentric — more eccentric than I am even! — and didn’t seem to equivocate much, even when it seemed like he was wrong. It didn’t seem like his slaves were living as luxuriously as I might have thought. He was really good friends with James and Dolly Madison. They moved into one of the out-buildings (one room upstairs, kitchen downstairs) while the main house was still being built. 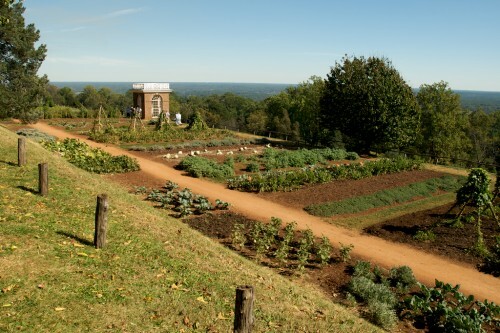 Jefferson defied conventional wisdom by building the house on top of a hill. 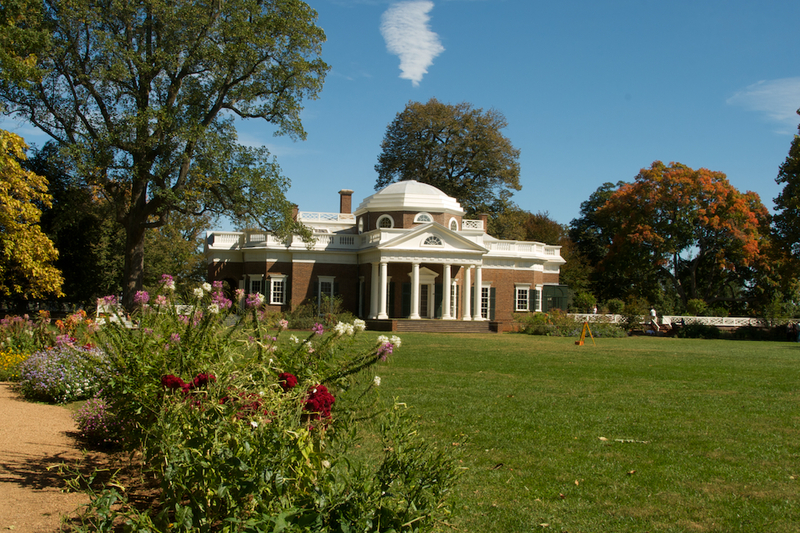 Most people in rural Virginia during Jefferson’s time had never seen a map before. Ronald Reagan’s library is more impressive than Monticello. Of course, it has the advantage of having been built as a museum rather than a house, but, inasmuch as you can compare a museum to a house, Reagan FTW. The Monticello tour is a little claustrophobic. I think that’s about it. Or at least, that appears to be all that’s stuck with me over these two long days since I was there. Jefferson seems to have planted corn and other crops in his front yard. Also went to Appomattox Court House on Day 84. It was a little lame. Here’s a picture so you can see how lame it is. I should probably just stop visiting Civil War sites. The photo itself probably doesn’t come off as all that lame. Appomattox Court House was the name of the village where the armistice was signed. It was not signed at the courthouse (pictured above), but at some guy’s house (not pictured). The modern town of Appomattox moved closer to the railroad once the courthouse burned down. 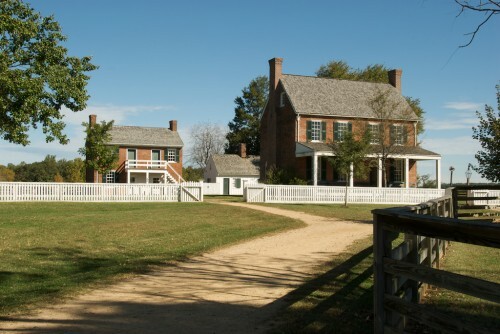 The guy’s house that is currently set up at Appomattox Court House is a re-creation. The real one was dismantled and taken to DC, where it disappeared or something without ever having been exhibited as planned. The guy who gives tours through the house is sort of cranky to people who don’t know they have to be led through it by him, even though there’s no indication anywhere that they’re not allowed to just walk into the house like they can every other house at Appomattox Court House. It’s hard to use three words in spelling Appomattox Court House. I didn’t take the tour. It’s probably a fantastic site if you’re into the Civil War. They also had a guy dressed up as a union soldier who acted like he was stuck in 1865. It probably would have been more convincing if he hadn’t been ethnically Indian (from India). I mean — the illusion’s pretty well broken before he even tries to talk to you about how expensive the tavern is, which makes playing along sort of stressful. He also has all his teeth and lacks powerful body odor, which should probably also have been illusion-breakers. Looking forward to kayaking around the Outer Banks. I think that’ll help. 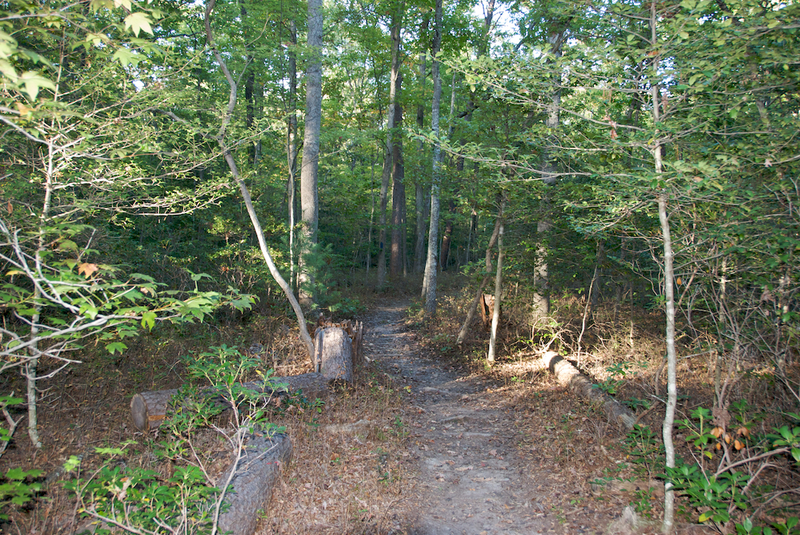 Despite plenty of trees to hide behind, Stonewall Jackson died here. But it was getting on toward evening, the rangers were closing up shop, and so I pressed on. The campground I slept at that night is probably one of the ones on the western part of the map in Fallout 3. At least, that’s what I’m telling myself. And I think I saw a super mutant while I was there — but, sadly, I found no jet, mutfruit, stealthboys, or railway spikes. They had a shower, though.